This Impex Crystal Art hexagonal 6 light chandelier in polished chrome is magnificent, contemporary and made in Britain. Featuring a polished chrome ceiling mount, chain suspension, polished chrome hexagonal frame and multiple rows of rectangular and square crystals hanging down in 3 layers. Each layer of crystals terminate at different drops and loop through to create a beautiful 1.5m drape. The lamps are contained within the crystal curtain creating a glimmering light. This bright luxurious feature centrepiece is fitted with six LED spot lamps that shine down through the fitting and will create the most wonderful effect when lit. 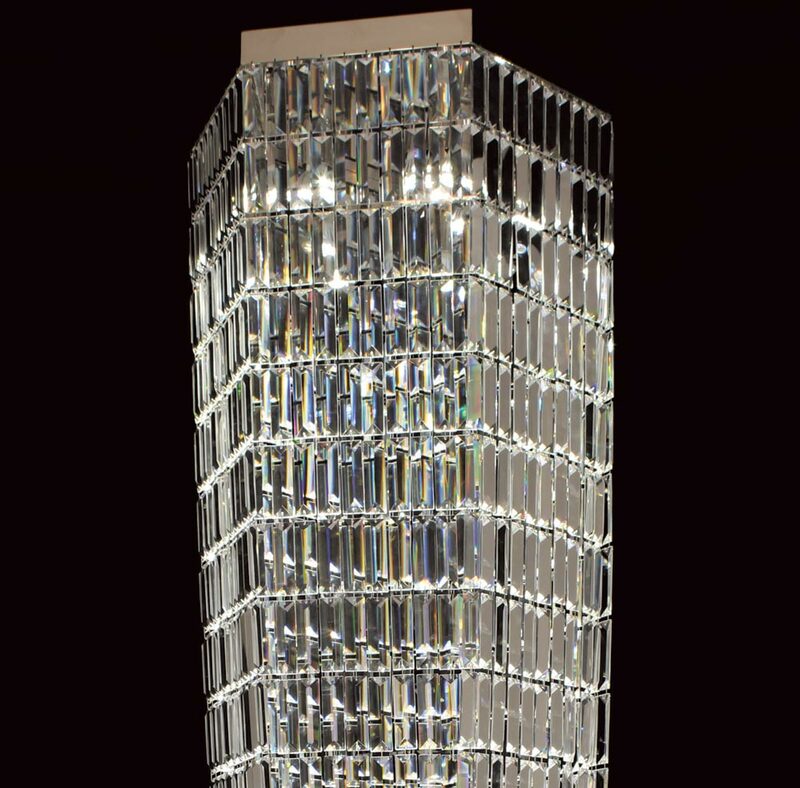 This statement piece crystal light adds luxury to any space and is a great source of illumination. 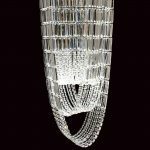 Please note that this chandelier body is 1.5m tall and is supplied with an additional 50cm of chain but can be ordered with any length. Please contact us if you would like this option. It must be fitted with LED lamps (not supplied) up to a maximum of 6w each. There are alternative fittings available in the Crystal Art collection that can be viewed below. 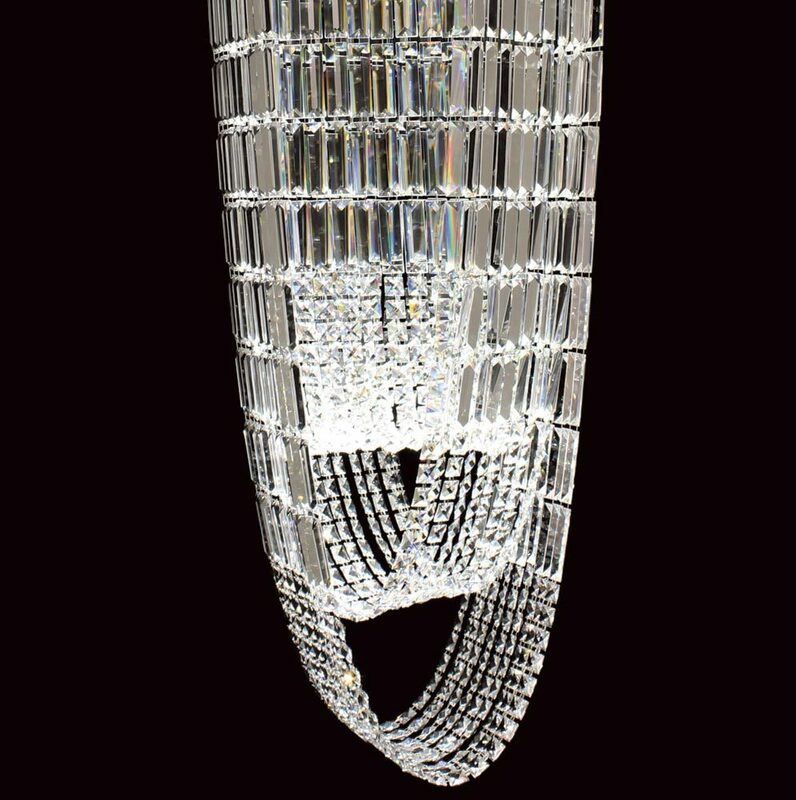 Impex Lighting are one of Europe’s leading manufacturers who supply a comprehensive ranges of fittings in traditional, contemporary and classic styles like the Crystal Art hexagonal 6 light chandelier in polished chrome featured here.